The club is fortunate to have four main sponsors for 2019. These sponsors help supplement our income and allow us to host first class Open Events and enter properly equipped and attired teams in various competitions across the Lothians. Merlin Golf is an Edinburgh based company who provide classic, comfortable and stylish golf wear. The Scottish weather is not reliable but Merlin golf wear is. To see more, click on the image to go to their website. MBE is an imaging and printing business also based in Edinburgh. Their offset print is amongst the finest available on the high street, printing in ‘high definition’ colour with solid coverage to ensure a rich, vibrant finish. To see this and much more click on the image. Spitaki, meaning “The Little House” is a Greek Restaurant in Edinburgh’s East Claremont Street which opened it’s doors in June 2015. Spitaki brings to Edinburgh great Greek food with passion, exceptional service and a warm and friendly atmosphere. Click on the image to see more. 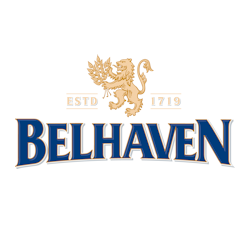 Belhaven Brewery has been a long term sponsor and is currently the drinks provider to the club. We have worked in partnership with them for many years and they consistently support the club’s Open Championship.